Bogor, located in Java in Indonesia, is known locally for its cool weather and its relaxed charm. As such, many domestic visitors make the trip here; however it has not attracted much attention on the international travel scene. Travelers who do make the trip here however rave about Bogor as a scenic alternative to crowded Jakarta and as it is located on the outskirts of the city it is easily accessible as part of a day trip as you can take a train to Bogor from the capital in a little under an hour. The city is known for a range of historical gems and you can also spend plenty of time outdoors enjoying the best of the Indonesian scenery. Bogor is next to neighboring Puncak and these are widely considered as the same area, with Puncak located a little way out of the city. If you are passing through Jakarta or just want to travel to a less visited part of Indonesia, then Bogor makes a great choice in Java. You might not be expecting typical Mongolian lodgings in Indonesia but this is exactly what you will find if you make your way to Kota Bunga Estate in the Highland Resort in Puncak. There are a huge range of different houses and hotels to choose from here including English style homes and Japanese cottages and you can even stay in a Mongolian camp. This is more like upscale camping (known as glamping!) than roughing it in the wild and you will find tents have beds, sofas, and even toilets and air conditioning in your tent to ensure that you have a comfortable stay. 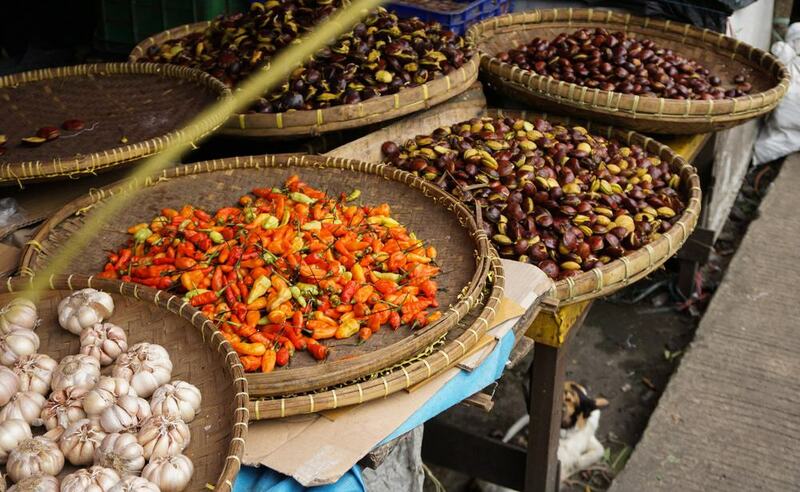 Located on Jalan Suryakencana in Bogor is its main market called Pasar Baru which is close to the Botanical Gardens. Part of the market is located indoors in concrete halls modeled in the byzantine style. If you make the trip here then expect to find a huge selection of produce such as fish, meat, and flowers. You can also get clothes and accessories here, both new and secondhand, and if you are looking for some cheap goods then this is a great place to come. Be warned that it is very hot and crowded here but it is also one of the most quintessential shopping experiences in Bogor. Located on Jalan Pancasan 17 in the heart of Bogor is one of the last gongsmiths that still exists in Java and makes gongs in the traditional way. 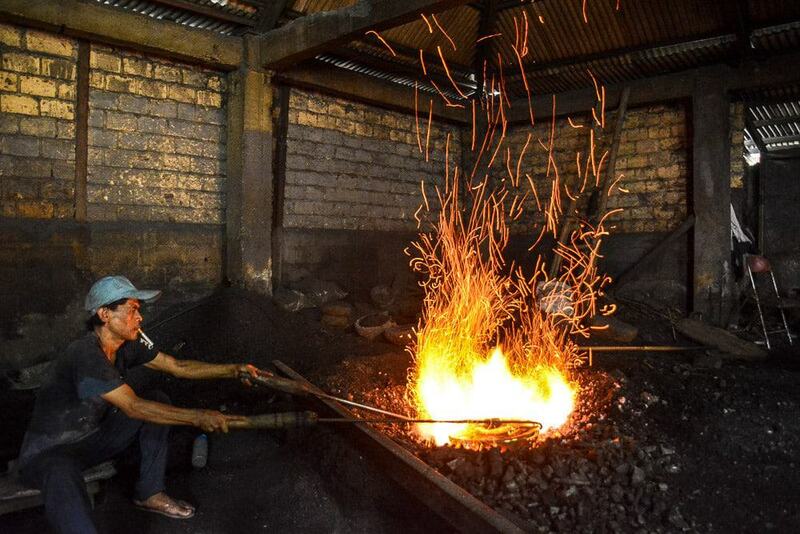 The gongs made here are used to make the famous Indonesian instrument called gamelan and the gongs are created by smelting them over a charcoal fire. You can visit the workshop and see how the gongs are made and you can also buy one as a souvenir of your trip to Bogor. Anyone looking for an adrenalin-packed ride in Bogor should head to the paragliding station at Bukit Paralayang Bogor. Once here you can soar up to 1.3 kilometers above sea level and check out all of the scenic countryside from a height. On the flight you will be twinned with an instructor who will be strapped into the paraglider with you and trips usually take around 15 minutes. You can take photographs as you fly but make sure to wear appropriate clothes such as long trousers. Spots of note to look out for include the graceful Mount Salak that looms in the distance. 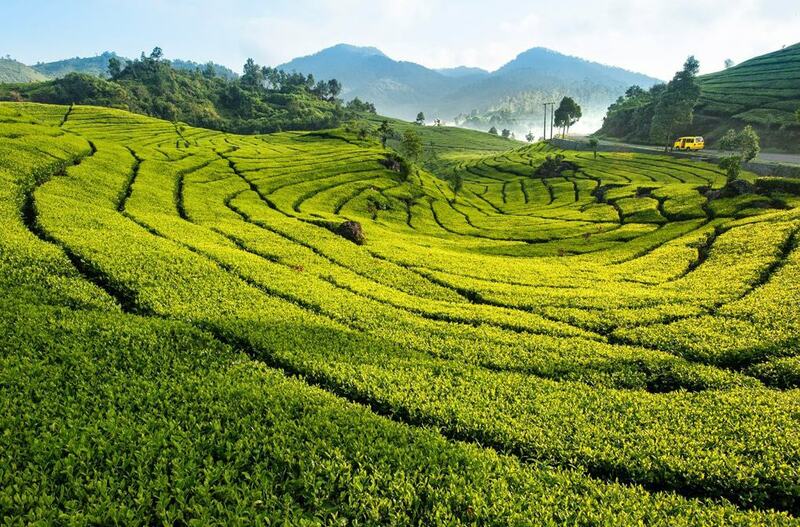 If you want to see how one of Bogor’s top exports is made then head to the Gunung Mas Tea Estate where you will be surrounded by the emerald green hues of the gorgeous tea gardens. Set in the mountains, one of the highlights of the estate is that you can tour around on horseback which gives you an amazing view of the plantation slopes. You can also take a guided tour of the interior of the tea factory and even stay overnight in one of the scenic lodges. 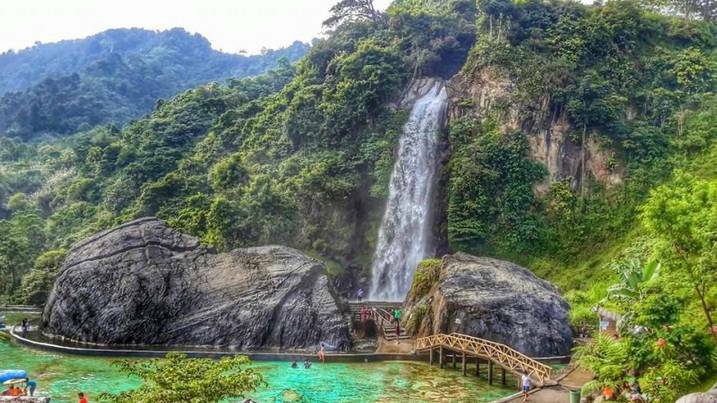 Bogor is a city that is surrounded by beautiful scenery and as such make the most of it with a trip to the Nymph Waterfall which is called Curug Bidadari Cikoneng in Indonesian. Cikoneng is a word that derives from Cai which is the Sundanese for water and Koneng is the shortened version of Bojong Koneng which is the name of the village on the outskirts of Bogor that the waterfall sits in. One of the highlights of the waterfall is that you can swim in the large pool that forms at the base and the edges of the pool are surrounded by a small sandy beach which is perfect for all the family. 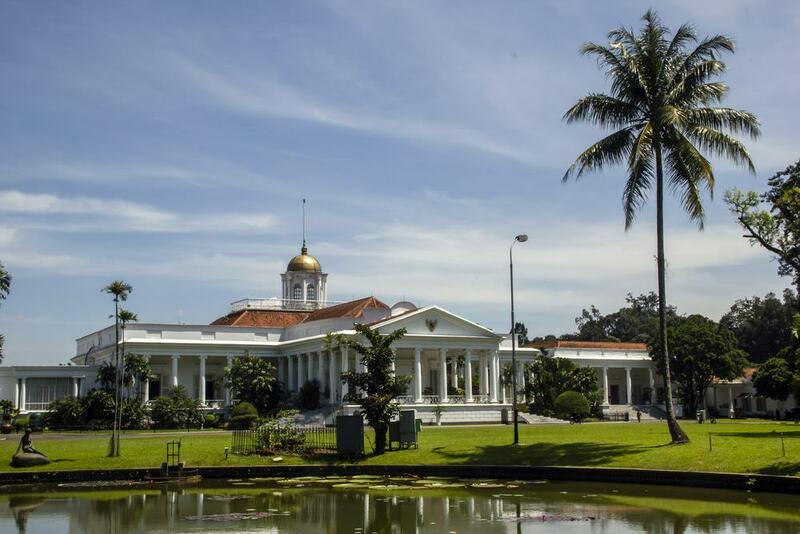 Located in the northwestern side of the Botanical Gardens is Istana Bogor which is another name for the Summer Palace of the President of Indonesia. It would have belonged to former Dutch governors during the colonial period from 1870 until the 1940s and nowadays some of the highlights here include large lawns which are covered in graceful deer and a small museum of art which is made up of the personal collection of the former president of Indonesia, Sukarno. You can only visit the palace if you are in a group of 10 or more and you will need to make an appointment, but it is worth planning ahead as this is one of the top historical spots in Bogor. De’Leuit is probably the most famous eatery in Bogor and it is known for stretching over an impressive three floors which form a kind of pyramid shaped tower which is topped with a thatched roof. The food here is traditional Sundanese cuisine and you can expect toothsome sate as well as fried chicken and a good range of vegetarian side dishes. 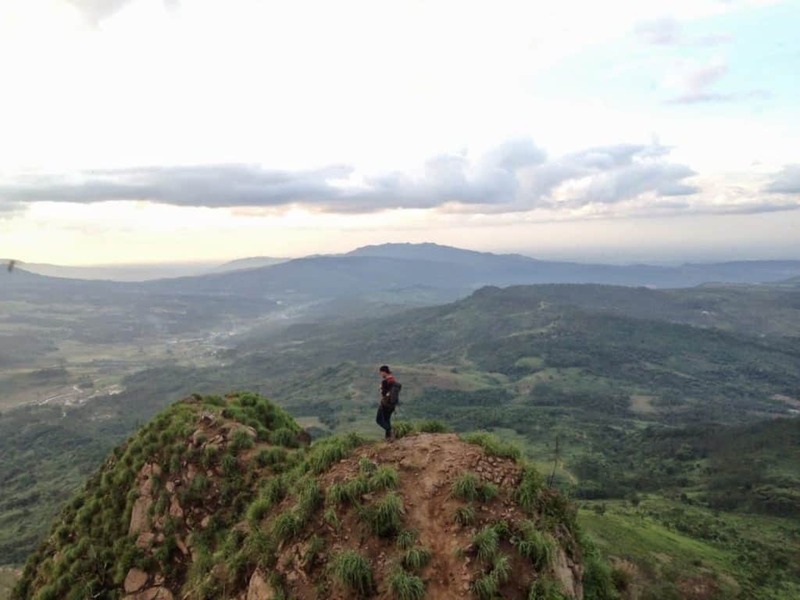 Nestled in Jonggol in the west of Bogor, Gunung Batu means Rock Mountain in Indonesian and offers you the chance to get out and commune with nature while at the same time challenging yourself to a hike up a scenic mountain. This mountain is smaller than neighboring Gunung Gede and Gunung Salak, which means that it offers a quicker trek if you are looking for something to do as part of a day trip. You should still note however that you will have to climb over a stone wall about half way to the summit and some of the slopes here lie at an angle of 90 degrees, but you can climb with a guide who will bring a range of equipment like climbing ropes to help you ascend to the top. If you make your way to Puncak then don’t be surprised to find a Little Venice in the middle of Indonesia. 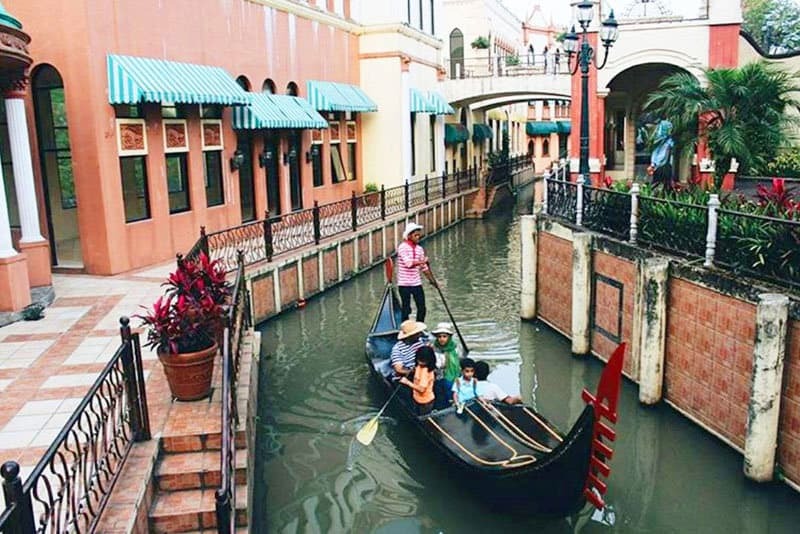 Also located in Kota Bunga, Little Venice is made up of a manmade lake which is modeled on the canal systems in Venice in Italy. Once you get to the water you can take a gondola ride and either row along on your own if you fancy a workout or hire a professional gondolier to do the hard work for you. If a Venetian gondola doesn’t appeal to you then you can try other rides such as the Mississippi Boat Ride. Pura Parahyangan Agung Jagakartta is one of the biggest Hindu temples in Indonesia and is an important place of worship for the Hindu community. A visit to the temple complex is a master class in Hindu traditions and as you approach Pura Jagatkartta you will first have to pass Pura Melanting and Pura Pasar Agung where you can worship and purify any offerings before presenting them to the Gods in Pura Jagatkartta. The main temple is open to those who wish to worship, although tourists who are not Hindu are not permitted to enter. If you are not Hindu therefore you will only be able to access the outer courtyard in the temple complex which has gorgeous views over Gunung Salak. Taman Safari Indonesian is one of the top attractions in Bogor and arguably in all of Indonesia. Located at Cisarua in Puncak, Taman Safari Indonesia was first built on a tea plantation which spanned 50 hectares and has now grown in size and popularity to encompass 168 hectares of land. At the park you will find both day and night safaris and you can spot a huge number of animals in a semi-wild environment as they roam all over the rolling lands here. If you want to stay a little longer then you can even stay overnight here in the Safari Lodge. Bogor, like many cities in Indonesia, is known for its food. Just some of the specialties on offer include Soto Bogor, a kind of soup, as well as a variety of street snack like Tauge Goreng which are fried bean sprouts. 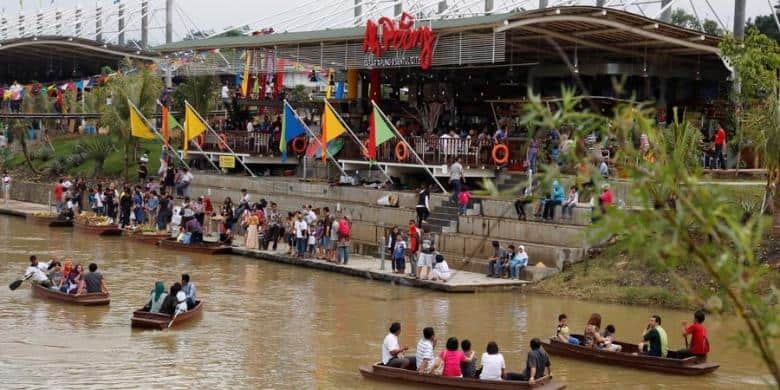 If you want to check out one of the best culinary locations in Bogor however then head to the Ah Poong Floating Market where you will find a kind of street food market that happens to take place on a river. There are a wealth of choices such as restaurants and smaller cafes as well as people in wooden boats selling bowls of noodles and rice dishes, and if you are looking for a unique dining experience then this is the place to find it. 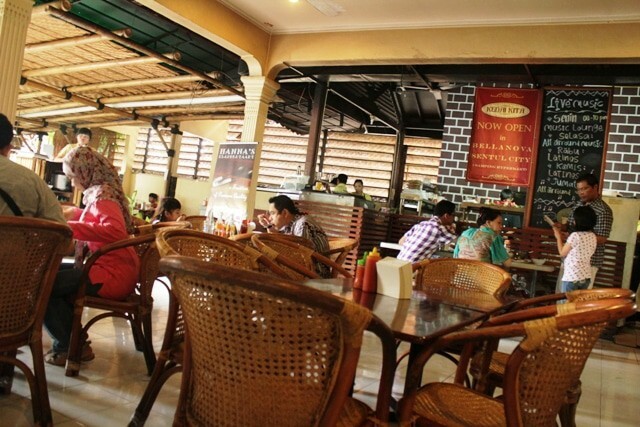 Bogor has a sizeable Indonesian-Chinese population and with that you will find a number of Chinese restaurants in town. One of the best known is Kentjana which has some signature Chinese dishes such as mapo tofu and the restaurant is decorated in the traditional Chinese style with beautiful paper lanterns and a wall of photographs of Bogor in the days of old. 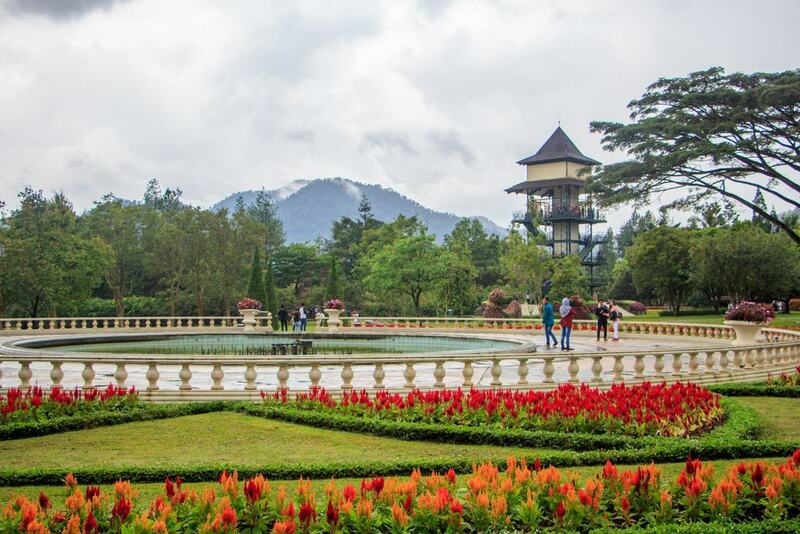 Bogor’s Botanical Garden is known as Taman Bunga Nusantara in Indonesian and is one of the premium attractions in the city. The gardens feature gorgeous manicured lawns and you can enjoy the cool breeze as you take in the views. Some of the highlights of the gardens in Bogor include the Secret Labyrinth which is a large maze that is modeled on the Maze Garden and the Wall of Troy which would have stood centuries ago. Trying to find your way out can be a highlight of a trip to the gardens or you can go for a stroll in different themed areas like a Japanese Zen garden, a Balinese garden and a French garden. If you are looking for a bit of a thrill in Puncak, then head for Taman Mataharu where you can indulge in a white water rafting adventure. You can choose from two different types of rides here including one which is 600 meters long and the other which is 3 kilometers long. 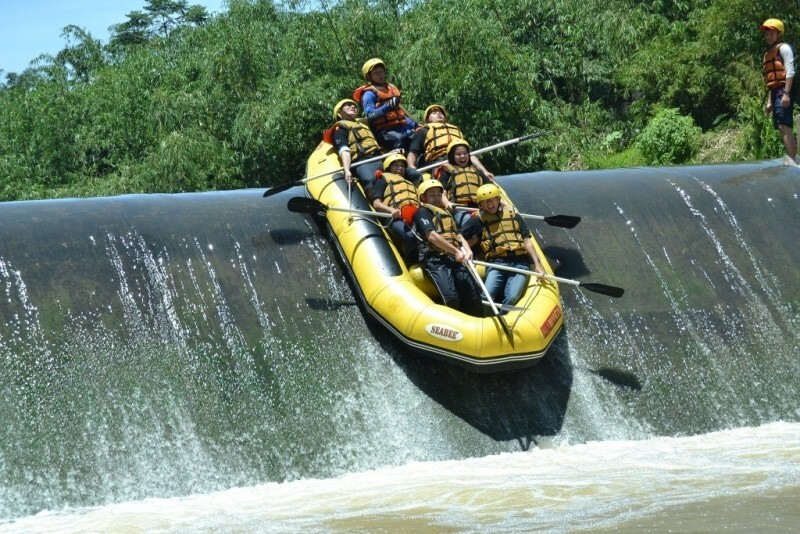 There are rafting trips which are suitable for all levels of experience and this is a great choice if you want to take in the beauty of the scenery in Bogor from the vantage point of the water. If you want to try traditional Sundanese fare then head to Gunmati Cafe which has some of the best views over Bogor. As the cafe sits at a higher elevation, you can see over the rooftops of the city, many of which are clad with traditional red tiles. You can also see in the direction of the towering Gunung Salak and enjoy local bites such as sup ikan bambu which is a kind of signature soup made with fish and bamboo. 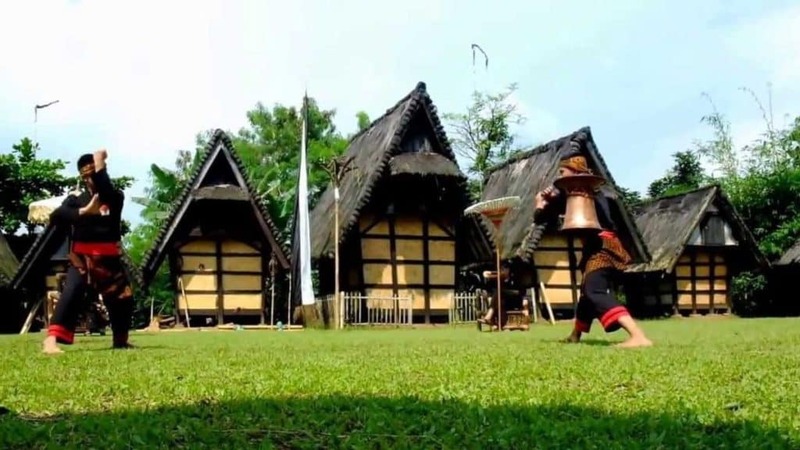 Around 5 kilometers away from the center of Bogor is Sindangbarang which is the oldest cultural village in the area. Amazingly, it is said to date from the time of the Kingdom of Sunda which would have existed in the 7th century, so this is one part of Bogor that you don’t want to miss. Some of the highlights of the village include 8 different examples of Sundanese arts and handicrafts which have been lovingly preserved by those in the village over the centuries. The village is also surrounded by the Terraced Hills which are a key archeological site which dates from the period of the Padjadjaran Empire. The village is now a key tourist site in Bogor which means that you can rent a cottage here and stay overnight and learn how people have lived and worked here for centuries. 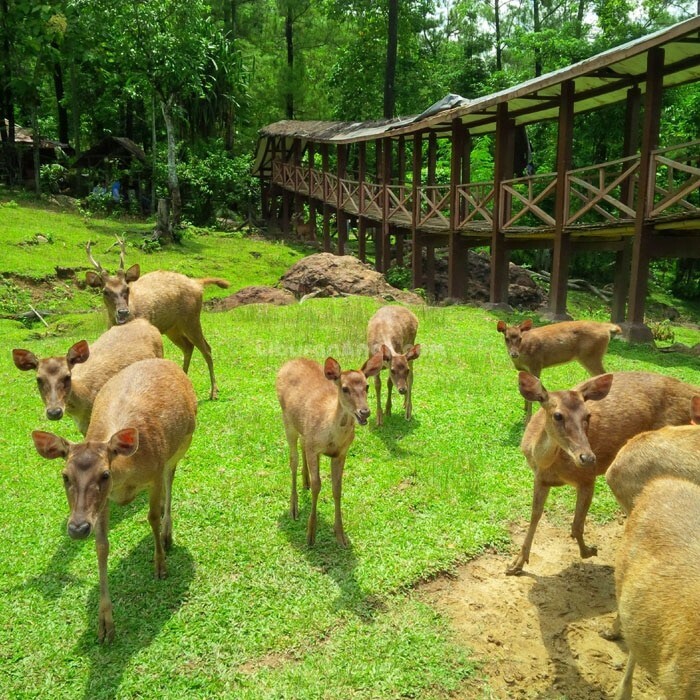 If you love animals then don’t miss a trip to Wana Wisata Giri Jaya Penangkaran Rusa Cariu which is known in English as the local Deer Farm. The farm was founded in 1993 and stretches over 5 acres of land that is the home of a huge number of indigenous deer. Expect to find species such as Bawean Deer and Javanese Deer and the walk to the park is as scenic as the park itself as you will have to walk over suspension bridge which spans the picturesque Cibeet River to get to the actual farm. At the park you can buy sweet potatoes to feed to the deer and you are welcome to pet the animals and take pictures with them. The Grand Garden Cafe is located in the lush Botanical Gardens in Bogor and as such this is a must-visit spot in the city. From the comfort of the cafe you can enjoy views across the manicured lawns and over scenic lily ponds while sampling some of the food and drinks on offer. 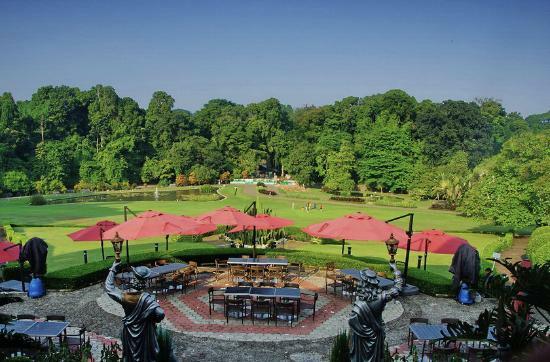 You can expect to find a range of international and Indonesian bites here and this is one of the prettiest places in Bogor to come and spend an afternoon. Batutulis is one of the main historic attractions in Bogor and is a stone that is inscribed with a dedication to Sri Baduga Maharaja who was the Pajajaran king who would have ruled here from 1482-1521. Legend has it that the king was able to perform feats of magic and the stone sits in a smaller shrine that is still a keen place of worship for devotees. The shrine is located outside the botanical garden and close to the residence of the former president of Indonesia, Sukarno, who wished to be buried with the stone- a wish that was unfortunately not granted by this successor, Suharto. 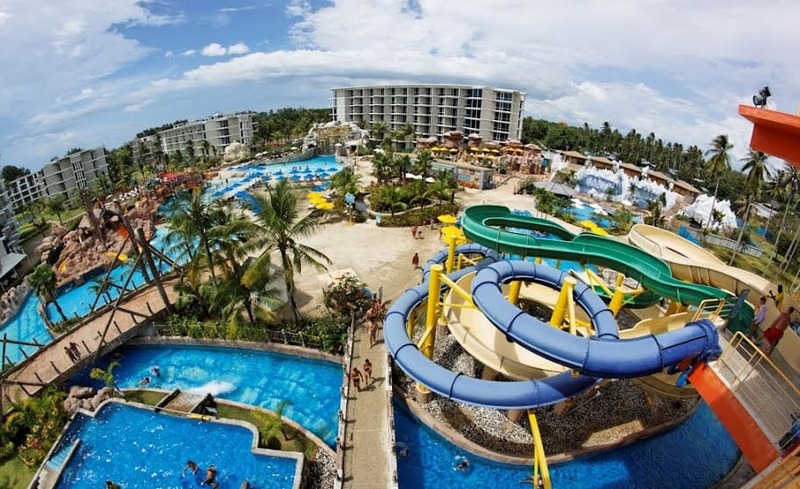 Jungle Waterpark is a great place to come, especially if you are traveling with a family. There are a different range of water based attractions here such as Kiddy Pools and even a heated pool which has water temperatures of some 40 degrees. There is also a Leisure Pool where you can dine poolside and there is a large stage here which often has performances by some of the most famous bands in Indonesia. When it comes to shopping in Indonesia, Bogor is said to rival Bandung as one of the top spots in the country. 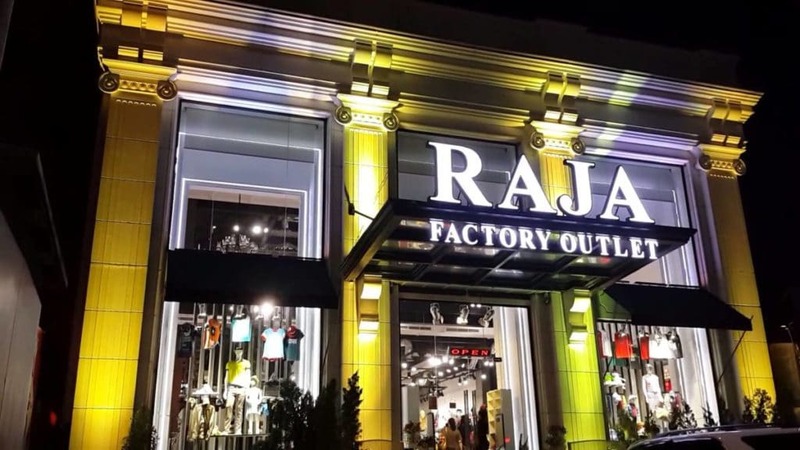 The reason for this is that there are a range of factory outlets here which means that you can pick up a huge number of bargains along Padjadjaran Street in the north of the city. You can find a wide selection of items here which include men’s, women’s, and children’s fashion. 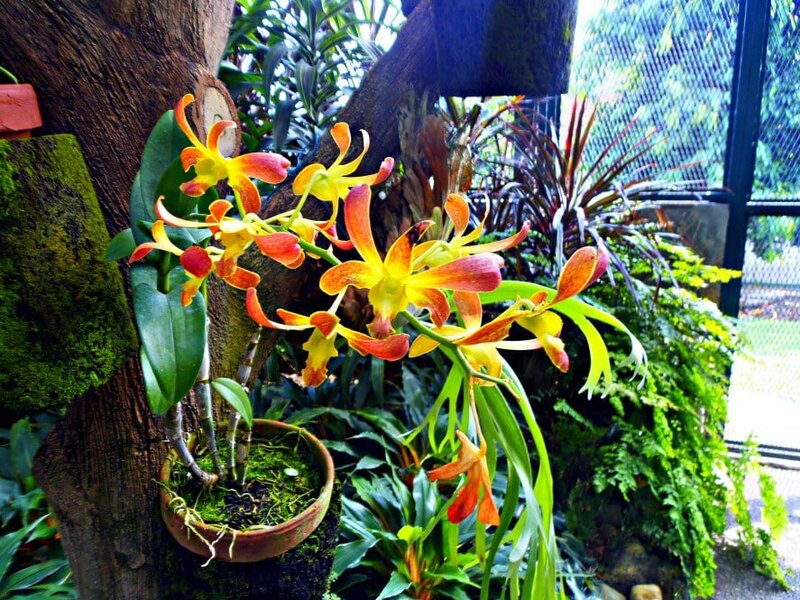 The Orchid Garden is also known as Rumah Anggrek and is located in the northeast of the wider Botanical Gardens. Entry to the gardens also gives you entry to Rumah Anggrek although it deserves a mention in its own right as it is made up of two large greenhouses which are filed with orchids of all different hues and varieties. As such, whenever you visit (or even if it happens to be raining when you are in town) this is one stop on the garden trail that is not to be missed if you want to see some of the best flora in Java. The Kujang Monument is one of the most famous sights in Bogor and is well worth a visit when you are in town. The monument is built in the shape of a kujang which was a traditional weapon used by the Sundanese people in the days of old. 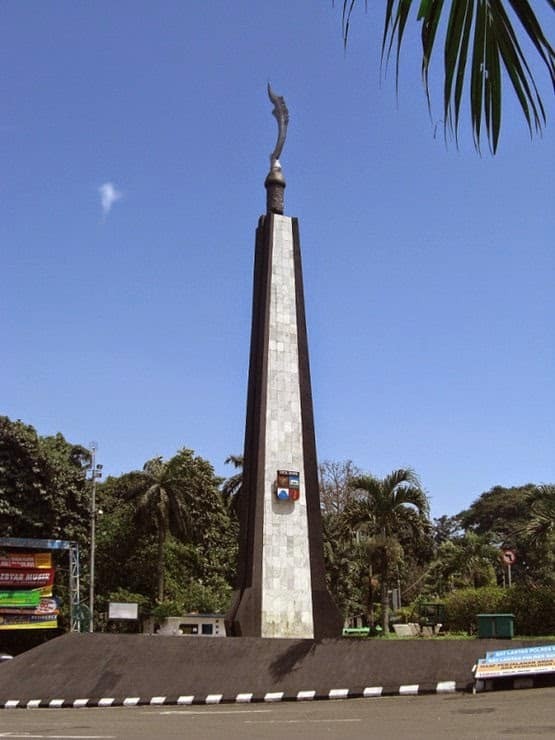 You will find this towering obelisk in Pajajaran Street and although it was built in 1982 it is still considered one of the main cultural and historical sites in Bogor.